... with a bit of a whimper. 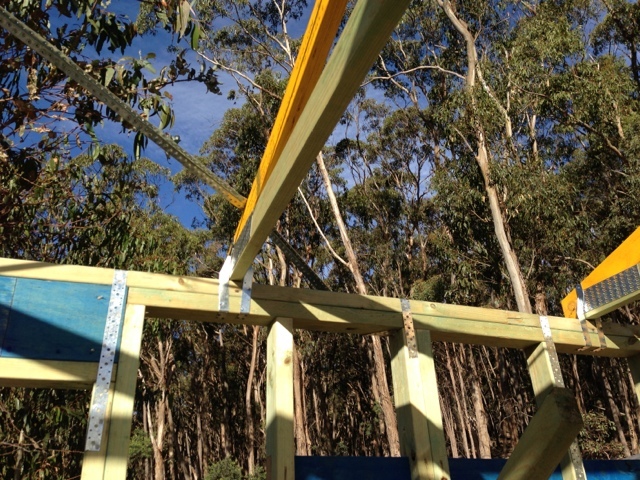 I didn't make it to the site until around lunchtime, but then made myself busy installing the truss bracing and all the cyclone tie downs on the upper level. I learned today why man invented the nail gun. My skills with a hammer are sorely lacking (pun intended) and as a result my left thumb is looking rather the worse for wear after having been struck about a dozen times. Owwww!! I'm expecting another timber delivery tomorrow, so I plan to make an early start on the garage framing to use up the rest of this pack of pine and make space for the new. 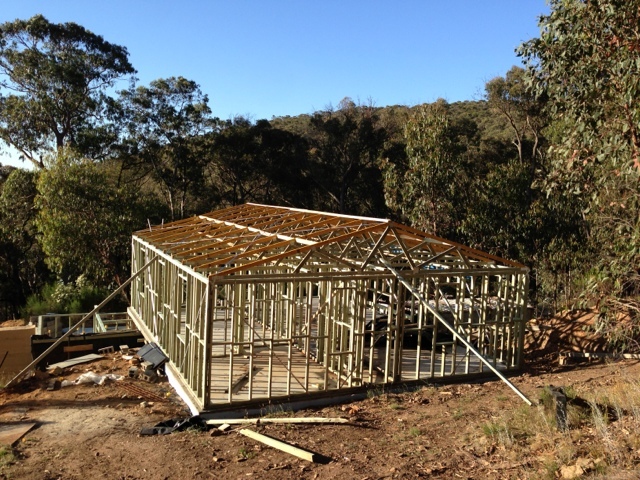 The aim is still to have the garage framed and the bush pole frames up this week, if not a few trusses too.